3 LinkedIn features that you aren't using enough of. So where does this leave you if LinkedIn is always evolving, you’re ready to hustle, or you are still employed and need to be discrete about a job search? For better or worse, the LinkedIn interface and its features are always evolving, and it’s just not that intuitive to use. Like many other social media tools, there are just so many bells and whistles it’s hard to keep up with them. Well, you have two options: one, become an active and proactive user of the site or, two, follow those that are. Nothing gives me greater pleasure than sharing some of the most hidden features of LinkedIn. It’s like revealing hidden treasure, so please let me take you on my tour of what’s new, hot and hidden on LinkedIn, so you too, can start to feel that thrill of what it’s like to be found on LinkedIn by a recruiter, or to reach the 500 connection mark, or maybe finally be able to make that connection with the mentor you have been seeking out. Let’s face it, being a good networker is hard for the majority of people, and most of us need a little nudge in that direction– LinkedIn to the rescue. Hot off the press, is their revamped Contacts section. What I used to love about the contacts section was their hidden TAGS feature, which few job seekers knew about. Now they have expanded it and have incorporated so much more. The obvious answer to this would be “because LinkedIn Today is where you find the Influencers”, and of course that would be partially correct because they are “hot” right now, but actually that is not why I chose them. The answer here is the concept of Knowledge-Powered Networking. We know that at the core of successful career management is a robust networking strategy –not always an easy task to maintain. With the help of LinkedIn and every other social media source, leaders in virtually every field are online sharing their ideas. At the heart of LinkedIn Today is such content, which makes it easier to learn, engage and connect. The benefits of following key influencers in your field, are immeasurable, from the knowledge you will gain, to the knowledge that you can then go on to share you're your colleagues, whether it’s at a conference or right there, on LinkedIn. In fact, according to a LinkedIn survey, professionals who share articles or content at least 1x week are 10x more likely to be contacted by recruiter. Hopefully, you will soon find yourself inspired enough to engage the author in a discussion about his/ her article and you will share the posting with your network. Just by virtue of engaging in this seemingly passive activity, you might find that the information you share could be incredibly helpful to someone else, or it could lead to someone noticing your profile for the first time – the possibilities are endless. Who knows, you might even be inspired enough to write your own article and see it published in the Influencer section. Crazier things have happened. Never having thought of myself as a writer seven years ago, I was inspired by the blogs I was reading by colleagues and here I am all these years later telling you, it can be done. Get ready for when LinkedIn unrolls its blog platform for everyone because you’re up next. Ironically, one of the most important tools on LinkedIn is currently hidden, and you need to find it now! There are many secret nooks and crannies on LinkedIn, but one my favorites is the Skills and Expertise section. It seems like it has been in Beta forever, since it’s prior location on the More drop down menu. They have since moved it “underground” but it’s still there growing, in the belly of LinkedIn, and you will be greatly rewarded with a goldmine of data when you find it. According to LinkedIn, in the Skills & Expertise section you’ll “Discover the skills you need to succeed. Learn what you need to know from the thousands of hot, up-and-coming skills we're tracking,” and they are not joking. When you type in any skill that you are interested in, you will gain access to an array of valuable information whether for your job search, career change, or promising new start-up. Basically EVERY skill listed on LinkedIn is listed in this database and each description includes a list of cities where that skill is found, relevant LinkedIn groups, companies that use that skill, a long list of related skills, and other professionals that share that expertise. One last tiny detail that you might miss, but which I find interesting, is to watch the growth of that skill, year over year. Granted, this information is limited to only those of us who are active on the site, but it can be very useful, if you are trying to make a career decision based on what skills are in demand – or not. For example, the keyword for Nutritional Counseling is up 6% Y/Y, while the field of Financial Analysis is down 3%. Don’t miss the little green (or red) arrow. In case you were curious as to what the one of the more popular skill is right now, it appears that skills and expertise related to the IPHONE are UP 50%! Now, there is a hot career path, at least for now. Donna Sweidan is a Career Coach and LinkedIn & Twitter expert, offering a unique blend of psychological counseling and concrete coaching that takes her clients on a journey from soul search to social media. She is the author of “You are the Boss, How to Create Income Security in a World without Job Security”. She speaks and trains on topics such as career change, how to become your own boss, and social media for job search and career management. Join her at www.careerfolk.com, Facebook.com/careerfolk and of course on Linkedin.com/in/donnasweidan. 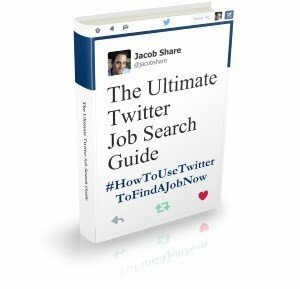 If you liked this article, you'll also enjoy Gigantic Tips Guide for Finding Jobs With LinkedIn. 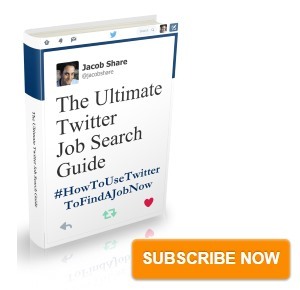 Subscribe to JobMob via RSS or email and follow me on Twitter for more ways to harness LinkedIn for your job search. I had a conversation on Saturday night with a friend who works at Linked In that covered many of these points. – In old version of Contacts, maximum number is 50 per tag for the purpose of sending an email. – My understanding is that the new Contacts does not allow for sending an email to a group with the same tag. Maybe you have more up-to-date information? – Is this in the works, or wishful thinking? Thanks for reminding me about http://www.linkedin.com/skills. – Another hidden page is a list of all the industry categories used in LinkedIn at http://www.linkedin.com/companyDir?industries= When you click on an industry, you get all the companies on LinkedIn that are in that industry. Then you can narrow your search results by location (e.g. Philadelphia area), company size, etc. Thanks for the link to the skills page Debra. Thank you very much for your comments everybody. Debra, Thank you especially for your questions and suggestions. I did not know about that great link to the list of industries. That’s very helpful. Regarding tagging, you are correct about not being able to send out emails but I am finding that it’s making it much easier and more efficient to identify groups of people – and I’ve been using the tagging very effectively for that. Regarding the Blog platform, I actually did read that that was a long term plan. The influencer section is the foundation for a greater blogging platform. As you can see they have already implemented it for an exclusive group of people, so it makes sense that they would want to expand it. I hope they do, although, I must say, there is already so much information on there. It’s overwhelming as it is. So pleased the article was helpful. It’s always great to be able to lead people to helpful info. Thank you everyone for their support. I’m glad this article is doing so well in the competition. 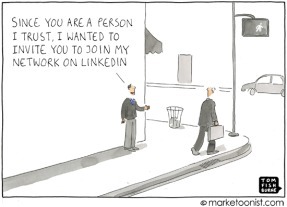 Do you think Linked In endorsements help or hinder a job search? Making another attempt to “earn” badge #15 for visiting this post.